The American comedy movie 9 to 5 from 1980 highlights the escapades of three working women as they exact revenge on their nasty and morally reprehensible boss. The measures they use to get rid of him are extreme, but in the process they also manage to significantly improve their working conditions. For instance, they institute flexible hours, a job-sharing program and a daycare center in the building. Although the movie was made 35Ys ago, good benefits still mean a lot to today's employees - perhaps more so than they did back then. 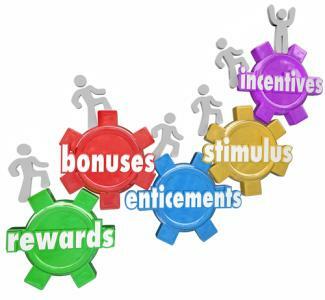 As the job market improves and there is more competition for quality employees, bankers should keep this important tenet in mind: Simply throwing money at your staff is bad for your bottom line and it may also be an ineffective way to encourage long-term retention. We know that sounds odd, but studies show you're likely to get the best results by offering competitive pay with a comprehensive compensation package. A few years ago, a Harvard Business review surveyed human resource executives. It found 60% said an attractive benefits package is "very important" in recruiting and retaining quality employees, compared with 38% who said a high base salary is very important. Meanwhile, a different survey by MetLife lends further credence to the importance of offering good benefits. That study found that roughly 49% of polled employees said benefits were an important reason they came to work for a company and 60% said benefits were an important reason for staying. Certainly, offering a competitive benefits package isn't cheap and it can also be daunting. However, we see it as a cost of doing good business and one of opportunity. Bankers who do so are also likely to see ample dividends when it comes to long-term employee retention and job satisfaction rates. To begin, start by taking a look at what you currently offer in terms of health insurance, paid time off for vacation, illness and holidays, disability insurance and retirement plans. Ask yourself how competitive you are with other banks in your market. Then expand your search to see what a few well-known and reputable non-financial companies in your area offer. Next, know that benefits that help foster healthier lifestyles are particularly well-received by employees. Some companies, for instance, now offer monthly reimbursement for services like nutrition counseling, yoga classes or massages. Helping employees improve their financial wellness is also a growing trend, particularly as more employees struggle to pay down student debt, support aging parents, cover rising health care costs and prepare for retirement. Many companies are taking note of these challenges and are trying to help employees cope. Indeed, financial wellness programs are already gaining momentum at both large and small companies. According to the Bank of America Merrill Lynch 2015 Workplace Benefits Report, 23% of small companies and 48% of large companies have a financial wellness strategy in place. This compares to 2013 when those figures were 18% and 35% respectively. What's more, 73% of employers said financial wellness programs will be standard elements of benefits packages in 10Ys. So, if your bank doesn't yet have some of these initiatives in place, it could be a good idea to at least start thinking about what it will take to put them into place. We sincerely hope your employees won't undertake the kind of mutiny they did in the movie 9 to 5. But, you'll be less likely to produce that kind of ire by offering competitive benefits. Done right, benefits can be a good answer to long and prosperous employe? ?e-employer relationships. Treasury yields dropped 3 to 5bps as oil prices fell below $45 a barrel, dimming expectations for inflation. July employment numbers will be released. An increase of 225K jobs and an unemployment rate steady at 5.3% is expected. Under a new SEC ruling, starting in 2017 all public companies will have to disclose CEO compensation compared to the median compensation of all employees. To reduce the cost of data collection, the SEC will allow companies to determine median worker pay by sampling vs. having to calculate it using payroll data from all employees. Look for some smaller companies to potentially go private to avoid this requirement. The Office of Financial Research has released a report that finds JPMorgan is the #1 bank most integral to the stability of the global financial system. Other US banks that fell into the top 10 included BofA, Morgan Stanley and Goldman. Community bankers should note that regulators don't only rely on annual visitations to stay on top of changes at banks. Following the credit crisis and lessons learned there, reports from regulators indicate they have significantly ramped up the use of data analytics, financial modeling, expanded research and more data collection. These techniques allow examiners to remotely monitor banks and request more information. This is the new way, so bankers should not only expect more inbound calls and emails, but also be prepared to show board minutes and reports that indicate you are on top of risks as they are building and have contingency plans to deal with unforeseen issues. The RMA points out key components of a quality enterprise risk management (ERM) framework should include: the risk appetite (how much risk are you willing to take); governance (how do you oversee risk-taking); data and infrastructure (how do you capture the information needed to manage risk); control environment (how well do you manage the risks); measurement (what risks are big vs. little); response (what are you doing about the risks); stress testing (what else can go wrong) and coverage (what are all the risks). Bankers who can answer most of these questions are well down the road compared to the industry at large, so continue to work on building a quality ERM framework to protect your bank.